… Halloween is on its way and this year The Viking and I will be celebrating in spooky solitude at the cottage. We’ll take the weekend to carve pumpkins and make pumpkin soup to eat whilst watching some horror movies on TV, then at midnight we may even sneak around the village to scare some of the neighbours. Belleau has only 10 houses and none of the families who have kids are old enough to come trick or treating just yet, although this is something we can look forward to in the future, so it’s quite quiet – which actually makes it all the more spooky. I love it when celebrations fall on the weekend. It makes it all feel a little more natural to have fun and let go a little bit more – not that we need an excuse but it does feel that the community comes out in full force… our local pub the Railway Tavern is having its annual Halloween bash so i’m sure we’ll pop along to that too… quite frankly I can’t wait! there’s really nothing to these brownies other than they’re simply the most divine chocolate brownies in the world… to me, that means that they have that all-important buttery crust on top, have a nice crumbly cakey outer layer surrounding a fudgy, gooey centre… plus of course these little beauties have a wonderful kick of orange liquor! They’re astoundingly good fresh and warm from the oven as they are after a few days – should they last that long – cold from the fridge. The inspiration for them came from the most simple of places, that sneaky little stand at the end of the aisle at the supermarket where they put stuff on special offer that they want to sell. In this case it was some divine lindt excellence orange intense dark noir with almonds which is an awfully long name for something so tasty… and which I also think is a special edition variety as it’s not available on the lindt website… anyway I digress – I grabbed three bars of the stuff knowing exactly what I wanted to make with them. sieve in the flour, salt and cocoa and again, gently fold in, and pour the mixture into your brownie pan. Oh wow – these just look gorgeous. I love chocolate orange. I need some of that Lindt (and the brownies) in my life … thanks so much for sharing for #WeShouldCocoa. 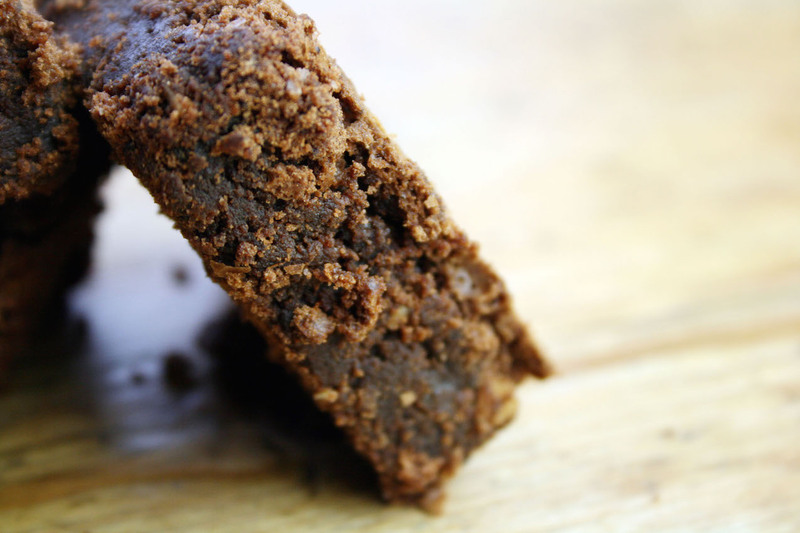 Oh my, these are my kind of brownies! And your Halloween plans sounds absolutely perfect. I bet these taste amazing – they certainly look it! Wow the texture looks wonderful. 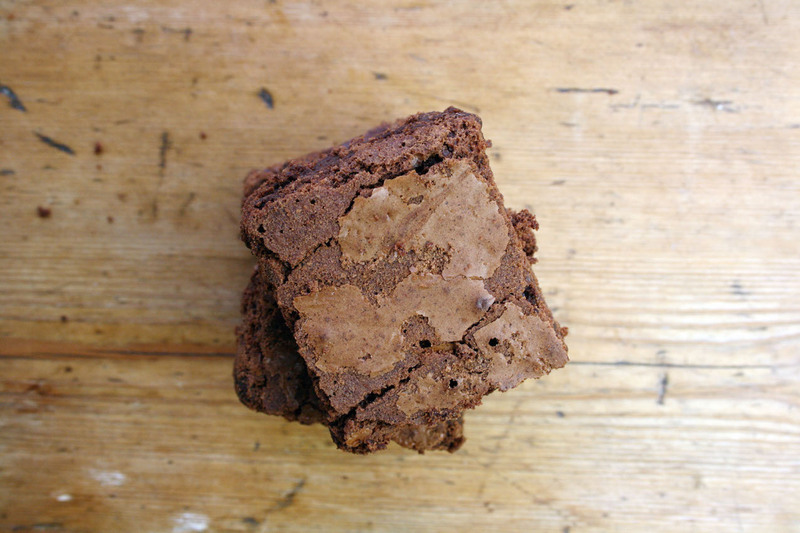 Boozy brownies – yes I think I should! 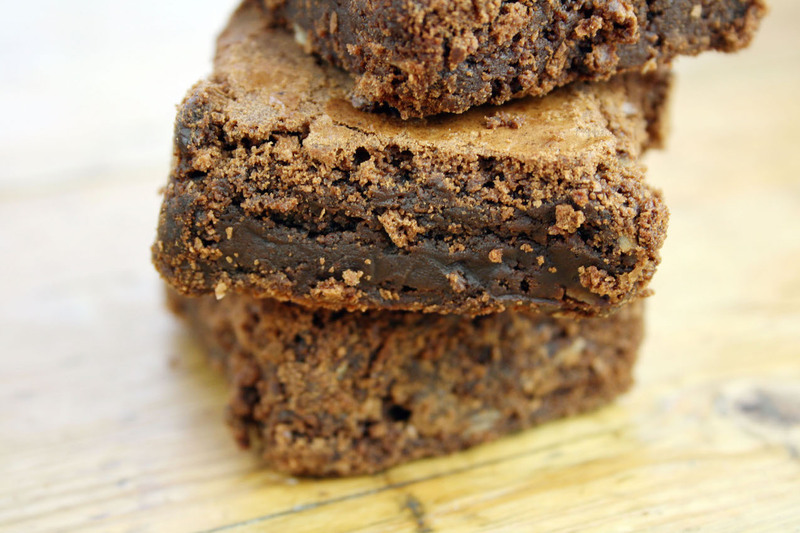 Those look like the perfect brownie texture and if they're laced with Cointreau, then I definitely want some! It's ages since I made brownies…… you have me twitching now!! I have a love-hate relationship with Halloween…. I often think I don't want the kids to knock on the door and then I buy sweets and put the pumpkin out anyway…. only to be disappointed when they don't turn up, because we live in a road without lights and the kids are too scared to come up it!! 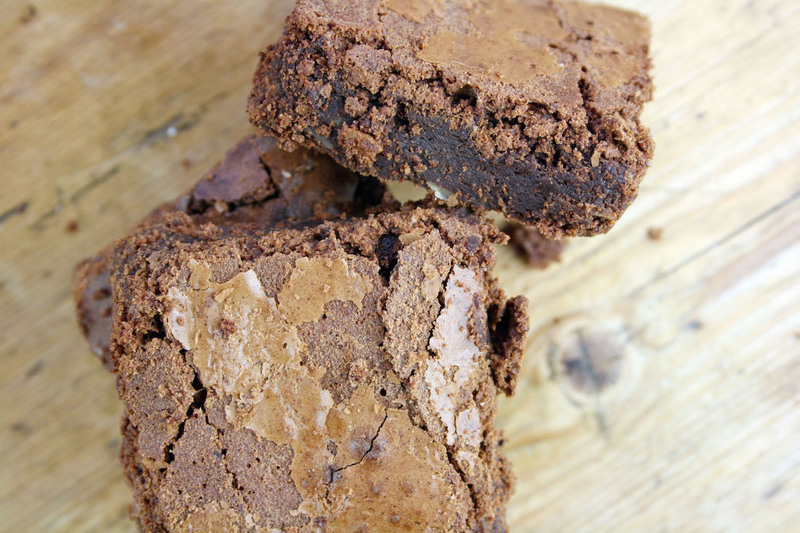 Yum, chocolate brownies, I love the idea of adding cointreau, perfect Dom. It will be a quiet Halloween here at the Kitchen Shed too, we're in the middle of a field right next to our ruined barn with owls to add to the spooky atmosphere. OMG! 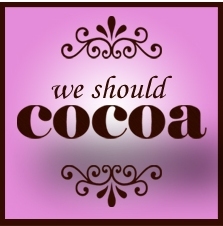 Perfection Dom and a most apt entry for #WeShouldCocoa. Now where can I get a bottle of Cointreau from? Hahaha Kate, the kids scared of the dark on Halloween. I thought they were meant to do the scaring. Wow get me one of these!! I love the addition of Cointreau – fabulous. Thanks for entering into Treat Petite. 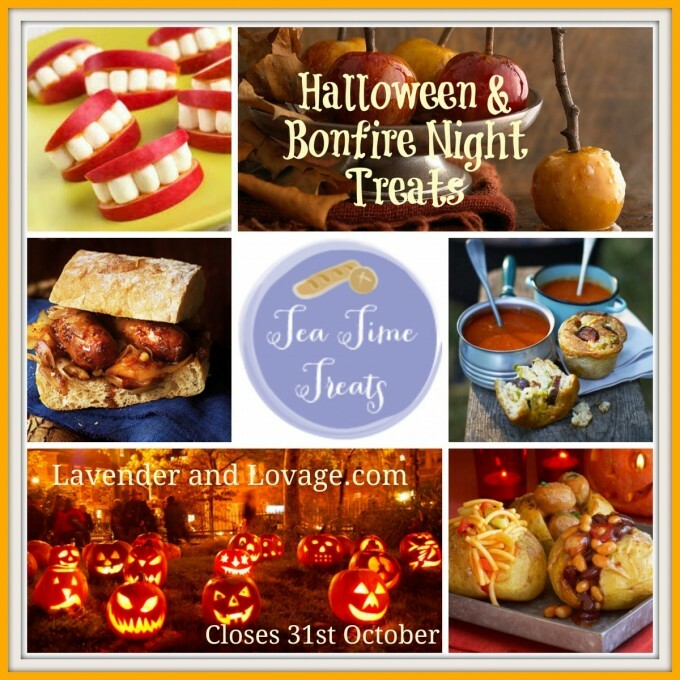 Dom these really do look scrummy – thanks for entering into #treatpetite !